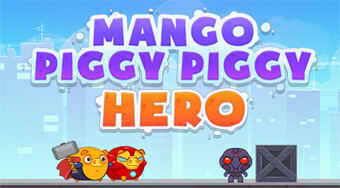 Do you like Mango Piggy Piggy Hero? Share it with your friends. Shoot the pigs in super heroes' suits on the board and eliminate the enemy robots.